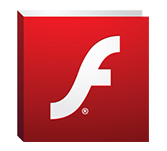 After you’ve made a dazzling Flash movie complete with Motion Tweens, 3D simulations and ActionScripted interactivity, you need to make the Flash movie usable for the intended delivery medium the Web, a CD-ROM (or floppy disk), a template for Macromedia Generator, a QuickTime Flash movie or a RealPlayer presentation, to name a few. As we mentioned in the introduction to this book, you need the Flash 5 application to open .FLA files. Because the majority of your intended audience won’t have the full Flash 5 application, you need to export or publish your .FLA movie in a format that your audience can use. You can convert your Flash movie (.FLA) files to .SWF files by using either the File➪ Export Movie or File➪ Publish/ Publish Settings commands. The latter command is Flash’s Publish feature. You can specify just about all file format properties in one step using the File➪Publish Settings command. After you’ve entered the settings, the File➪Publish command exports any and all file formats with your specified parameters in one step all from the Flash 5 application. Three commands are available with the Publish feature: Publish Settings, Publish Preview, and Publish. Each of these commands is discussed in the following sections.